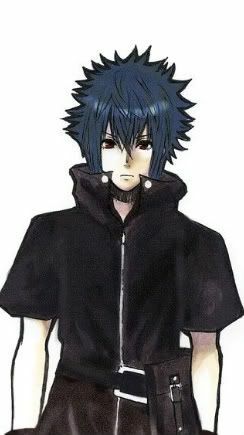 Personality: Crown has a nice and easy going personality, he is always calm, and laid back. As even in battle he shows that calm attitude, he is always quiet, and has respect for everything since he was taught that way. Background: Crown was born in Black City, Unova Region, as his family were a rich family in the business industry. Crown had everything he wanted, but what he didn't have was a real friend, his "friends" back home only talked to him because he was rich or they wanted something from him. But only a girl named Stella liked him for who he was and not what he had. They both became real good friends and his only good friend. Until when Crown reached the age of 14 he met a eevee in his backyard, the pokemon was well beat and hurt, so Crown taking him in healing the Eevee back to heal. Until he found out that the Eevee he had helped was his father's boss's eevee that he attack. Crown's father forced him to return the eevee, but he didn't he ran away from home that day and decided to never to return back to Black City, as he wanted to live free and with no worries with his best friend Eevee.